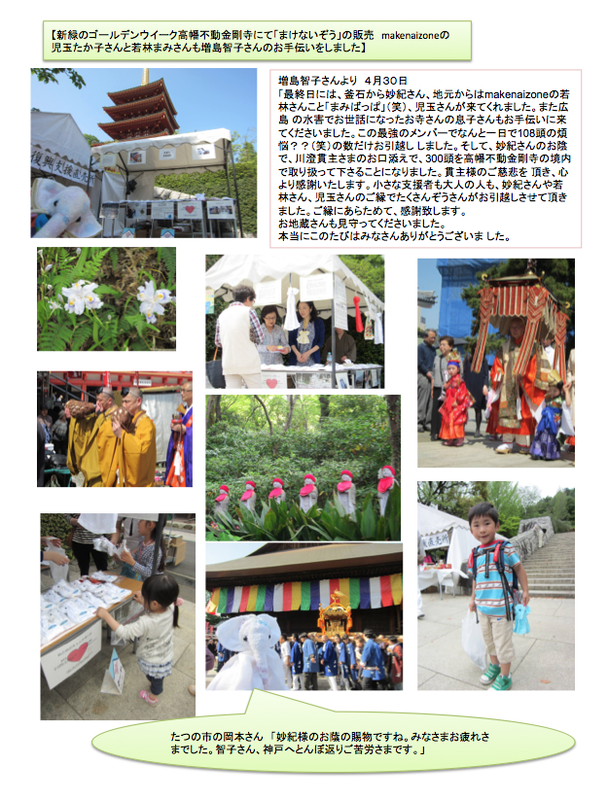 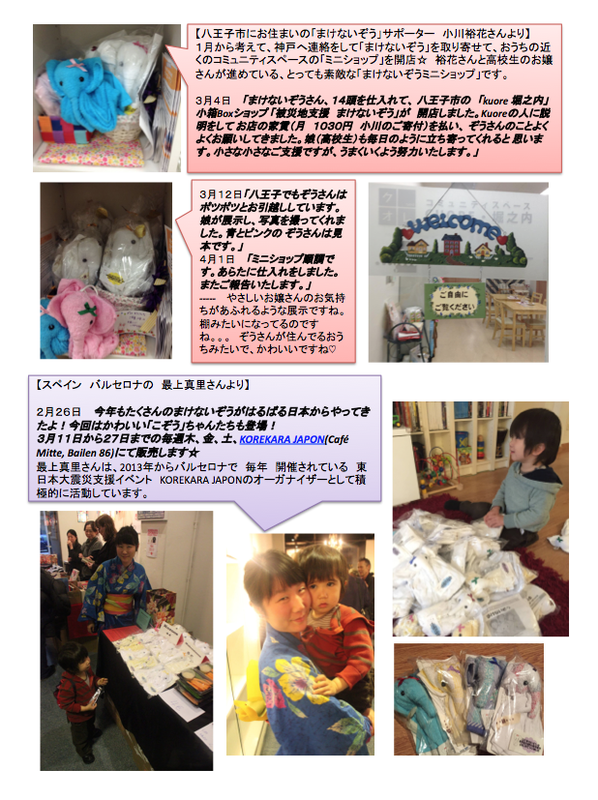 作り手さんにお渡しする　紙のお手紙　（２０１5年2月〜５月）　Makenaizo Elephant’s supporters paper letter, Feb-May2015. 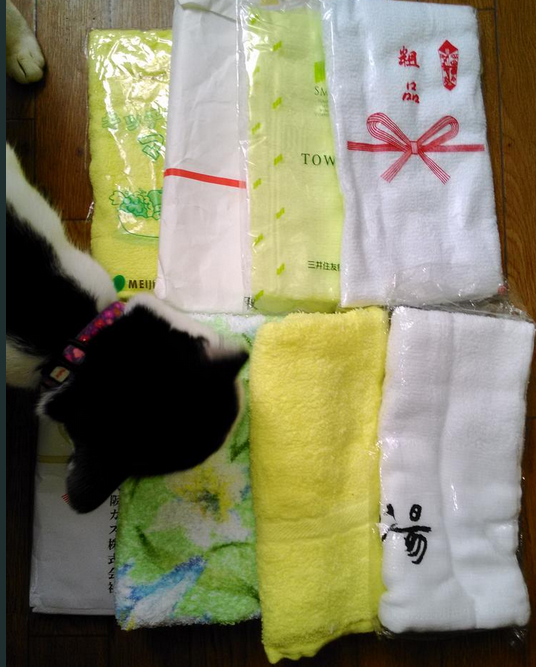 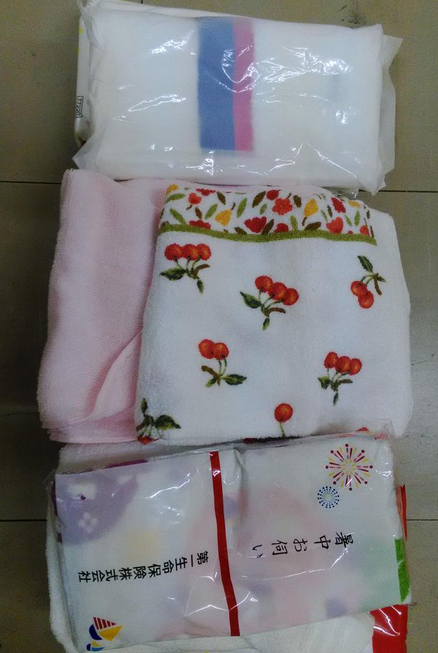 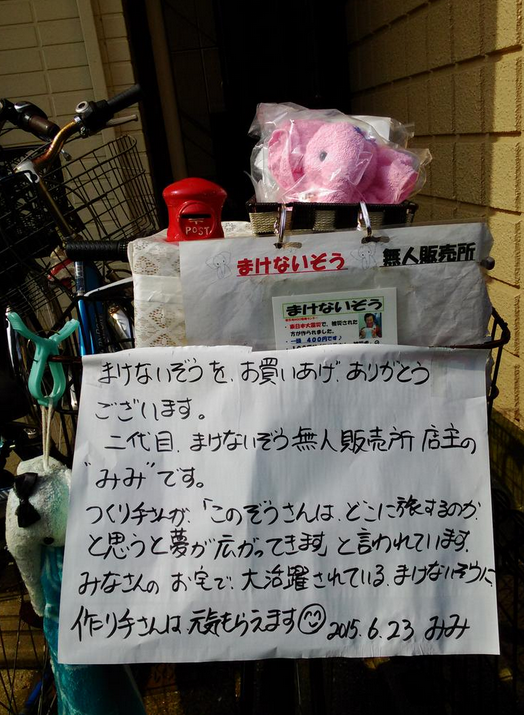 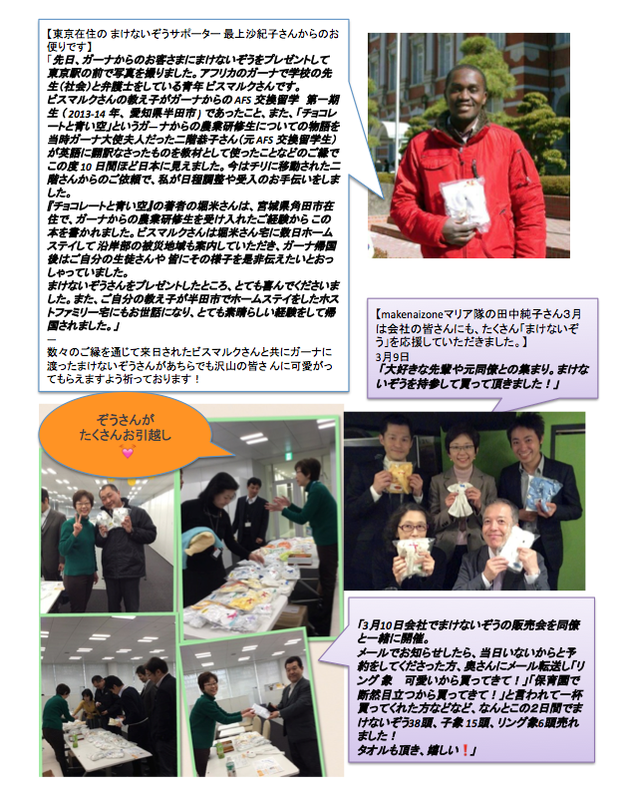 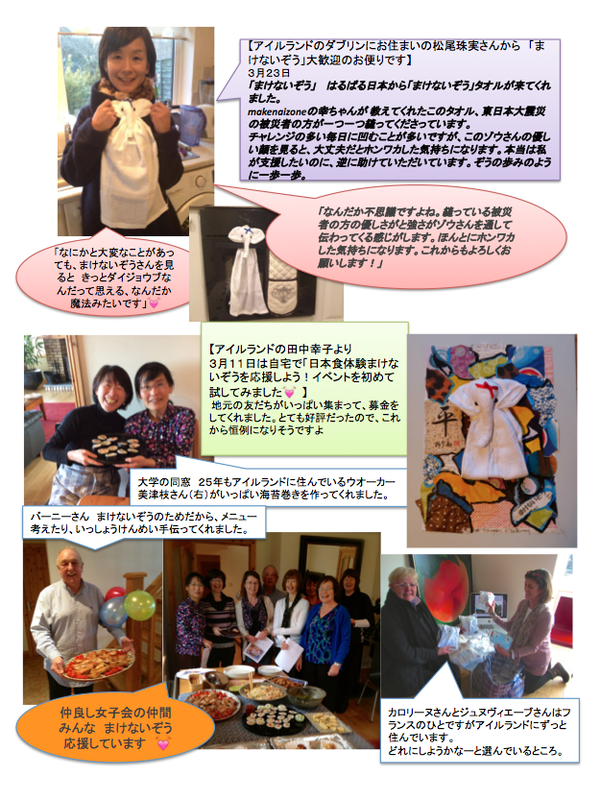 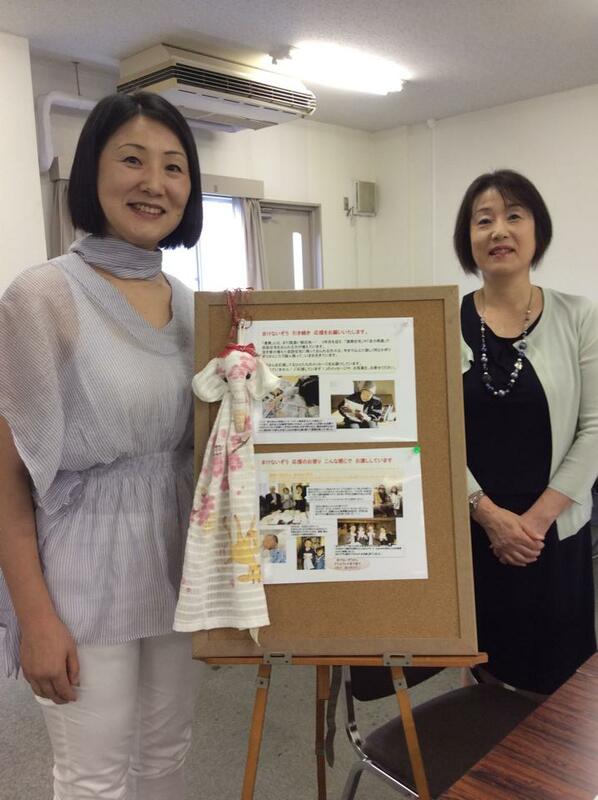 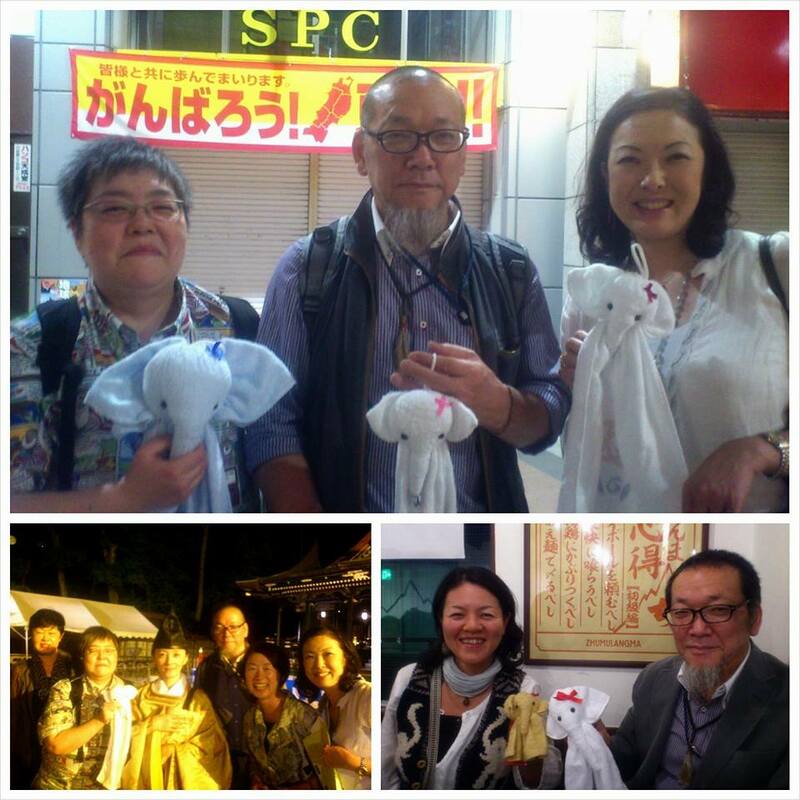 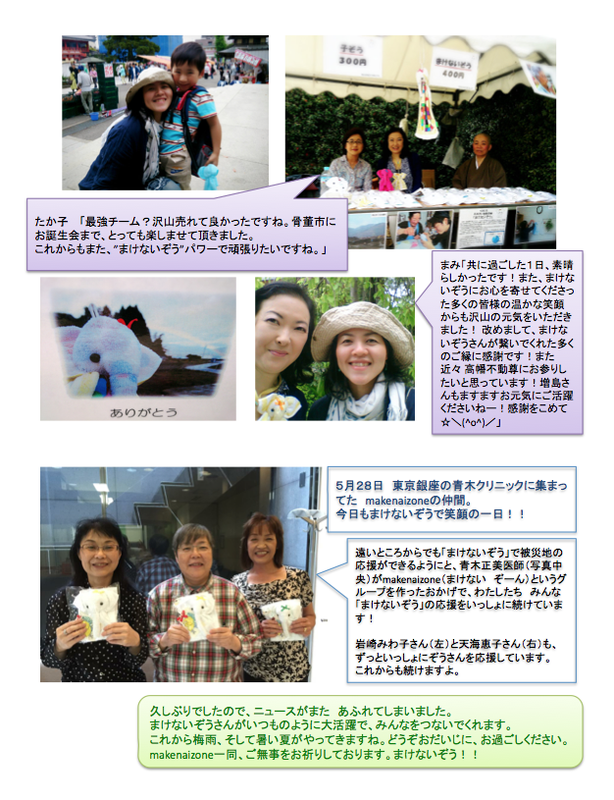 8 pages-Paper based letter is to be delivered to Makenaizo (‘never give up’) towel elephants maker ladies in Iwate, northern Japan by Ms Tomoko Masujima. 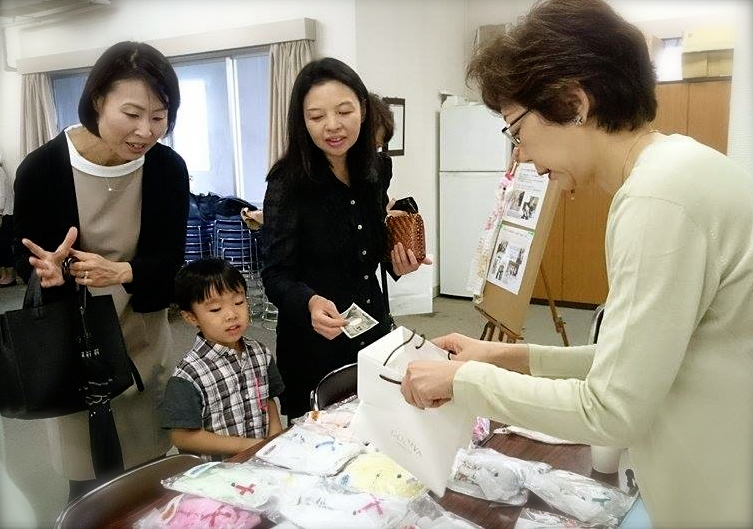 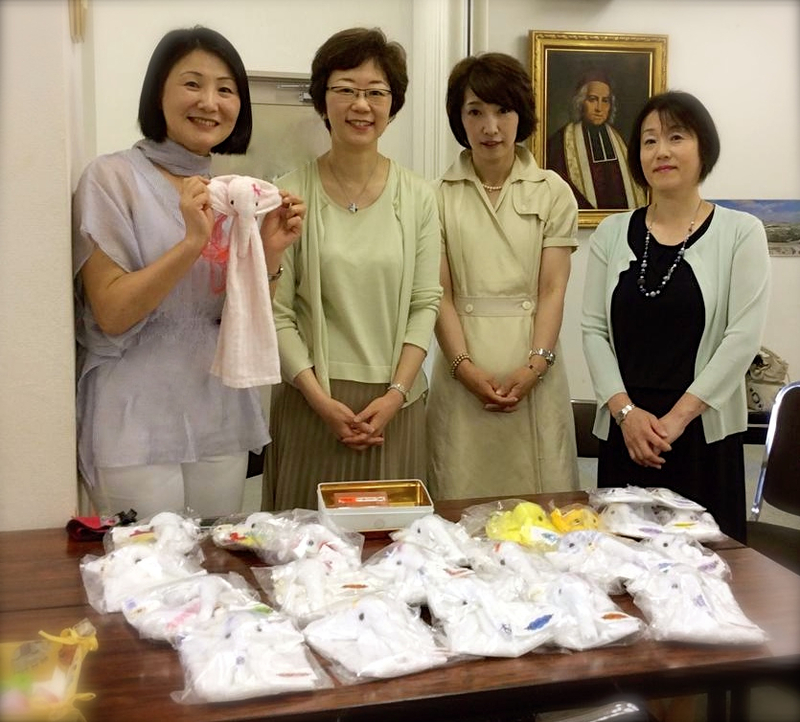 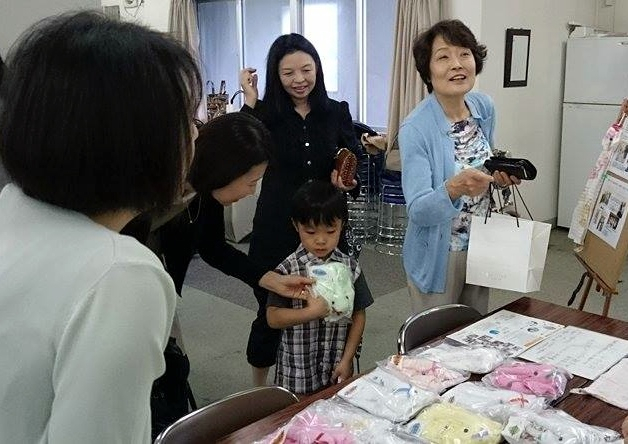 Being far away from Tsunami and Earthquake devastated areas doesn’t stop you to support them! 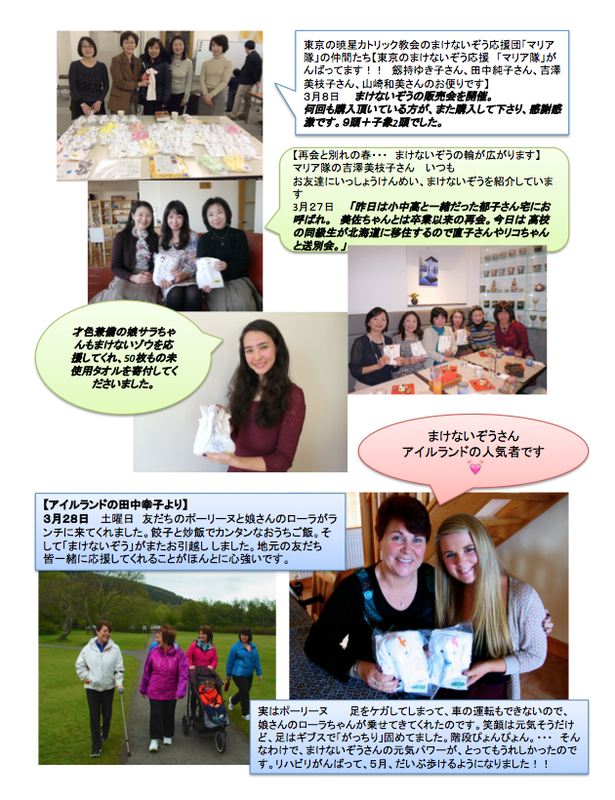 Please give a small message to be involved, you too, into Makenaizo Elephants project!! 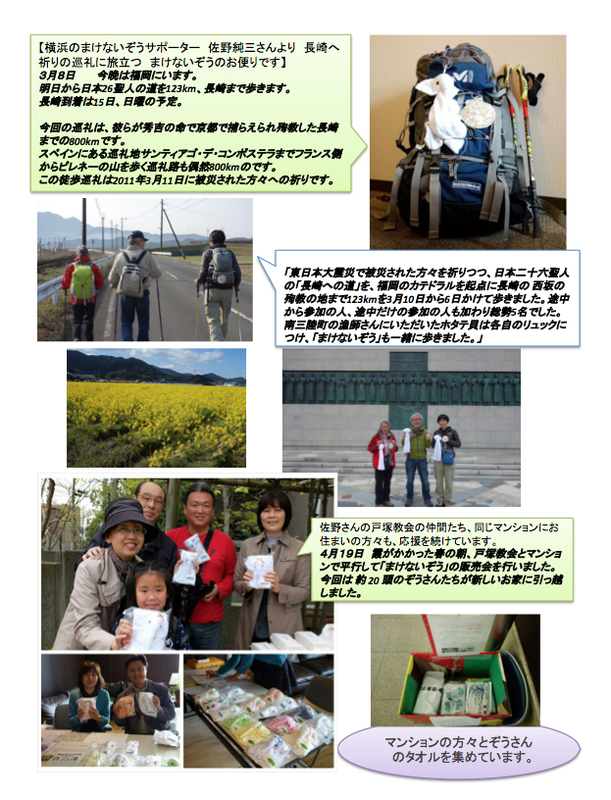 The leader of NGO Collaboration Center, Mr. Masakiyo Murai hasdecided to resign his role after 20 Years of his great support as the Father of the volunteers for disaster relief. 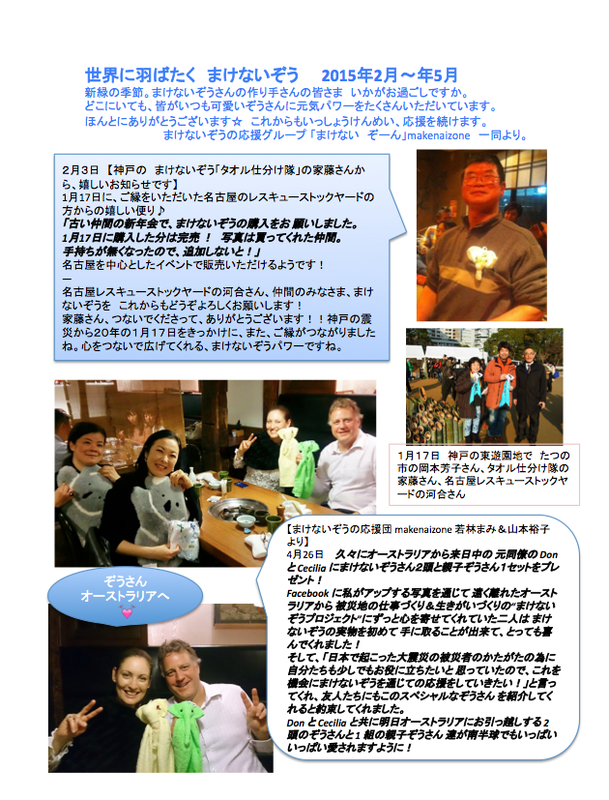 I would like to thank him so much for his great contribution & priceless devotion to disaster relief activities for the past 20 years, and We, makenaizone (the group of the supporters for Makenaizo Elephants) will continue to root for the great project that Mr. Murai has been leading for a long time!